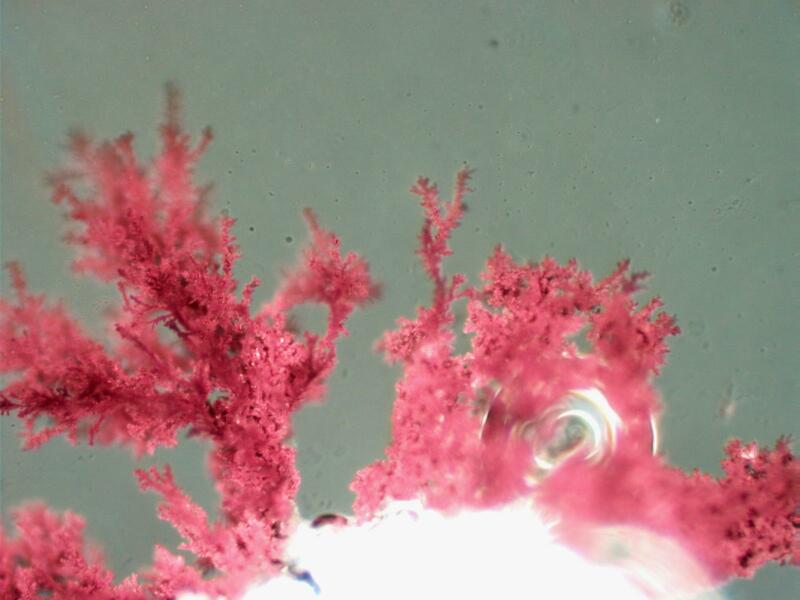 This is an example of copper growing on a small particle of aluminum that was added to a dilute solution of copper chloride. Copper trees will grow rapidly on a small grain of aluminum in a slightly acidic solution containing copper. Copper will plate the aluminum if only very low levels of copper are present. The reddish color of the copper stands out in sharp contrast to the white of the aluminum. Even in low concentrations the copper plating out on the aluminum will be easily visible.